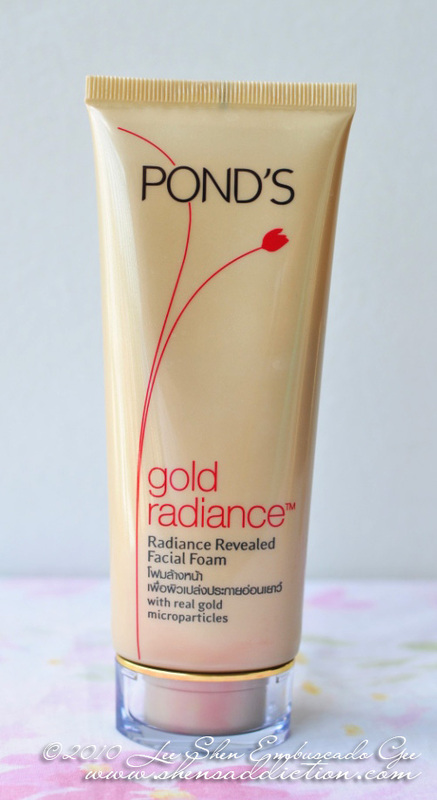 Pond's Gold Radiance is exactly that. They are using the world's most coveted mineral, gold, in their latest anti-aging skin care to take away skin's dullness like no other. Skin dullness is a problem many of us have and I can say that removing all the signs are much to difficult to be targeted by just one specific product. That is the dilemma Pond's Gold Radiance aims to solve, to target skin dullness in its entirety. 2. Uneven Skin tone caused by acne, skin pigmentation, dark spots and other scars are evident to those who experienced breakout in their youths and to some unfortunate ones, adult acne. 3. Skin Colour differs greatly from when we were young. Now our skin tends to be darker due to constant exposure to the sun. If one fails to practice the application of sunblock, one can also get age spots caused by the harmful UV rays. 4. Hydration is one problem we will all face as we age. And though many oily-skin ladies look forward to this, lack of skin moisture cause more damage than we think and our skin will suffer from it. Combine all 4 and you get the much feared skin dullness. 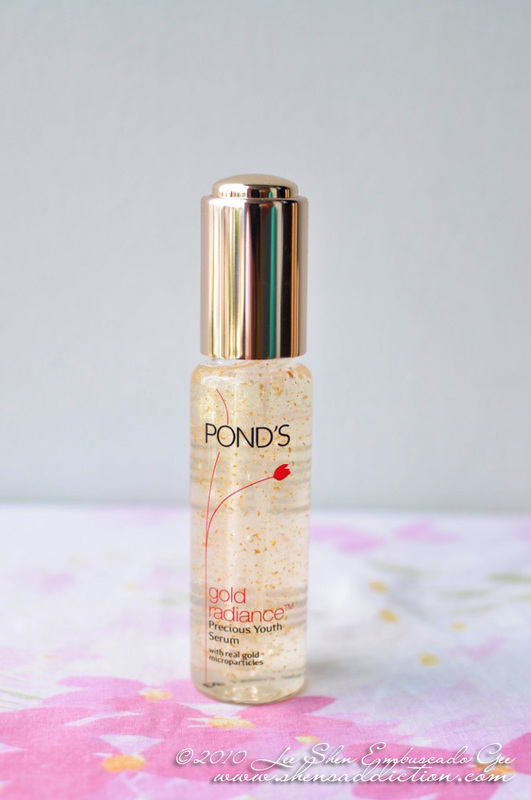 To solve all this skin dilemmas, Pond's is showing us how to recapture our skin's youthful radiance with its breakthrough solution of gold micro particles and the most effective anti-aging ingredients in Pond's Gold Radiance. Simply amazing. I've never been this excited about a skin care product before. I'm not one to use anti-aging products regularly but now I'm changing it. I'm very excited about this certain brand of skin care... Gold!! It has gold in it! It's a great thing that I have tamed my adult acne quite a bit and I could get on to using an anti-aging product that will help my skin glow. Designed for older skin, I enjoyed using this facial foam now that I am in roacutane medication. 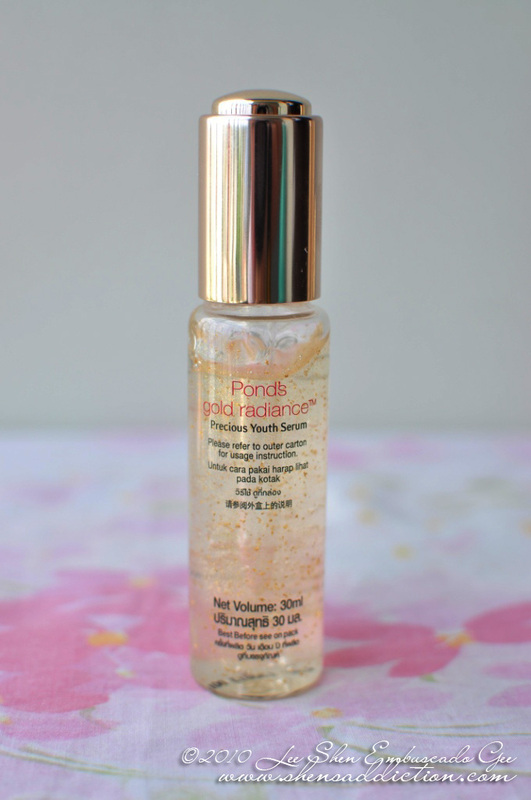 As my skin tends to be dry an flaky at certain time of the month, this helps me skin rehydrate a lot better. I like that it has rich lathers which I always look for when I'm washing my face. Having to use a lot of makeup, I need my skin real cleaned which is difficult to get with moisturizing facial wash. This one though, didn't fail me. 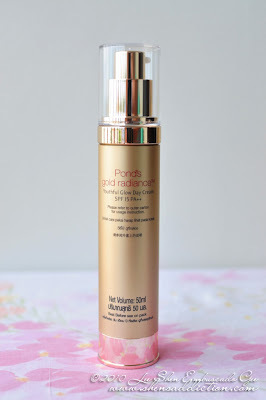 The gold micro-particles exfloliates my skin gently that using this everyday isn't a problem at all with my sensitive skin. 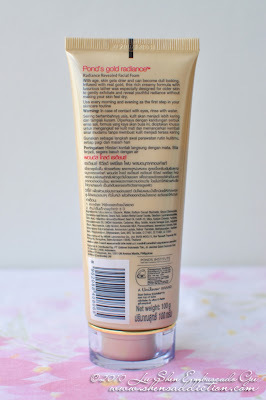 A pump of this is enough to cover my face and believe me when I say that this one is very rich. 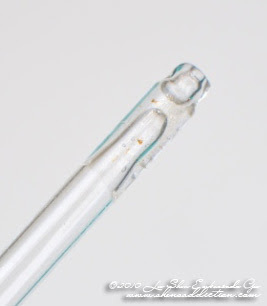 The key using rich products is to use it sparingly. Don't put too much on your face especially if you still suffer from acne breakouts. Since this day cream is specially designed for women in their 30's and above, the product is would help moisturize their skin and protect it as well from UVA and UVB. Most importantly, this will keep the skin moisturized throughout the day, something aging women don't have to worry about. Let's add to that the gold micro-particles provide certain luminescence that women with dry skin would love. We all know our eyes give out first when it comes to aging. It's the first to show fine lines and wrinkles. And with everyday that I look into the mirror, I grow hopelessly tired of treating them. 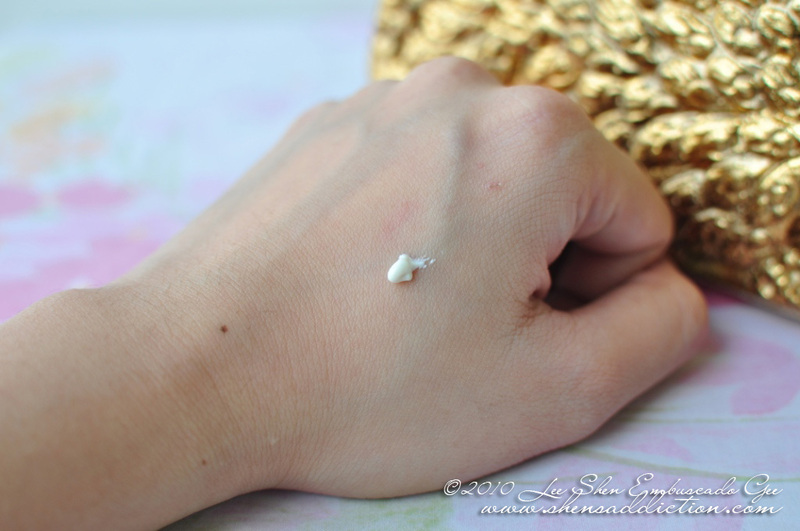 But thankfully, as a beauty blogger, I am always distracted with new products and my news never grow tired of experiencing eye product luxuries. This one I would need more time to review but this is definitely showing good sign of controlling my eye puffiness. I was out for late coffee one night and needed to get up early in the morning. 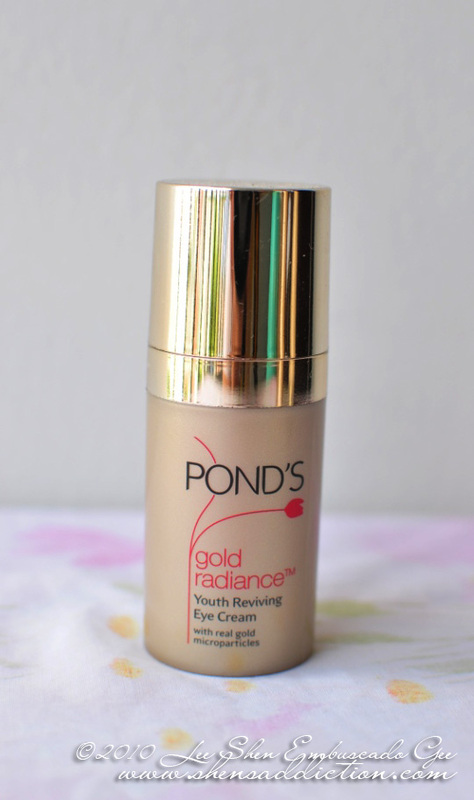 With only this as my eye cream, I noticed that my eyes are less plumped than it usually was when I have less sleep. I love this! If only it's easy to pump the products out then this would earn a whopping 10 on my book. But still, I can't say anything bad about this serum. 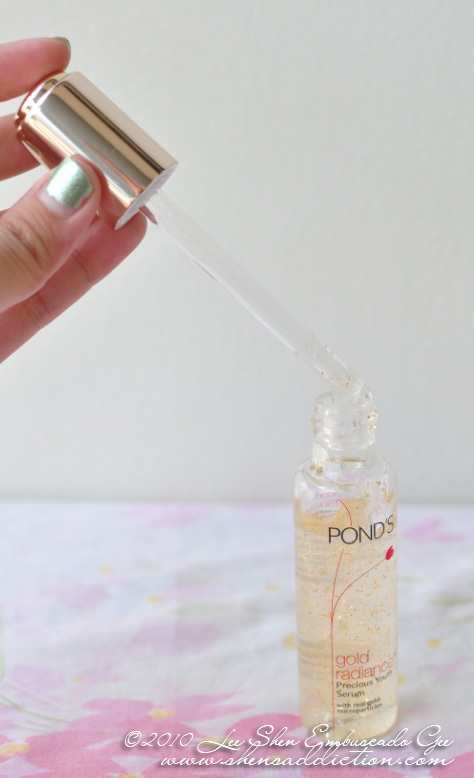 Serums have been known to be concentrated and hence, a lot more effective. 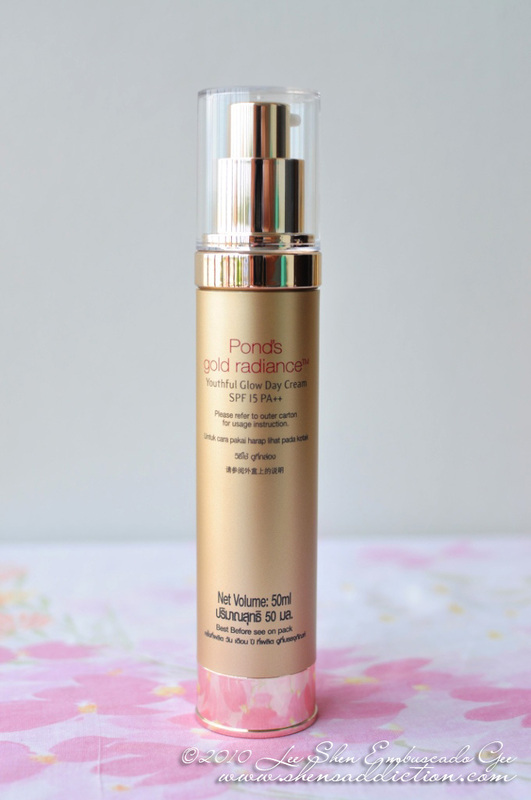 This serum laced with gold flakes will treat your skin to a semi facial. 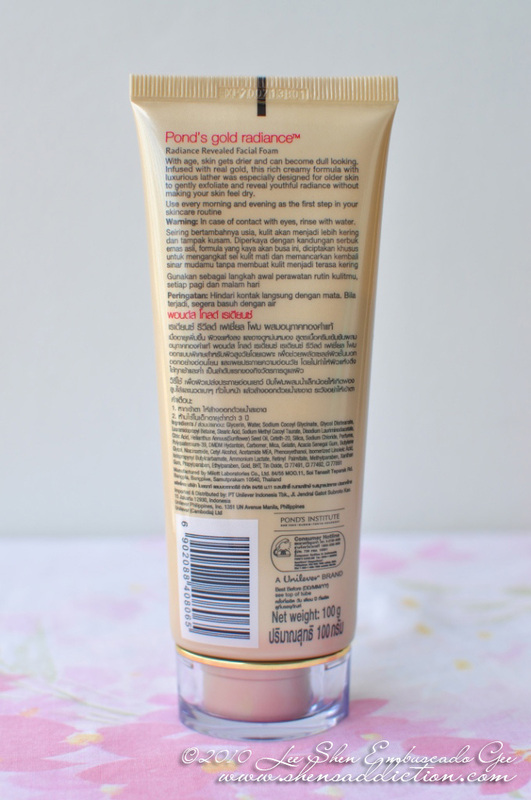 The gel consistency is very smooth when apply. I usually indulge in a bit of facial massage whenever I apply this when I learned I'm not breaking out with this one. 1. Uniqueness and ingenuity of this product. Really? 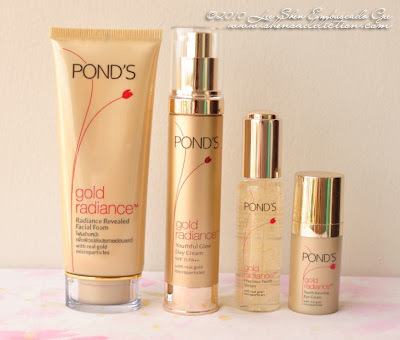 Have you seen any skin care with real gold in it? 2. How it targets the major problems of skin dullness. 3. Affordability compared to high end anti-aging products. 4. Accesibility to the products. Available in all Watson's and selected department stores and grocery. 7. 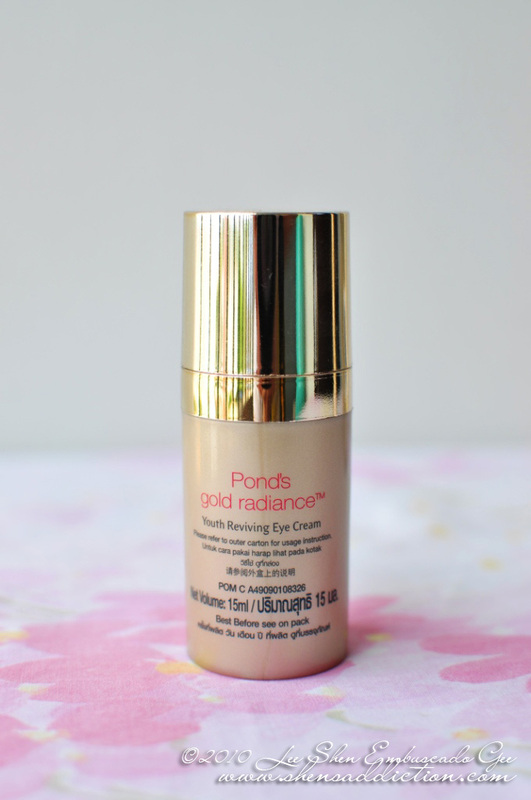 Definitely safe enough for the skin as the gold micro particles used in this are graded for skin use and is BFAD approved. 8. It's 99% real gold!! I can definitely know how Cleopatra's skin feels like. 9. The packaging looks really classy and elegant. I feel all grown up with it on my dresser. 10. 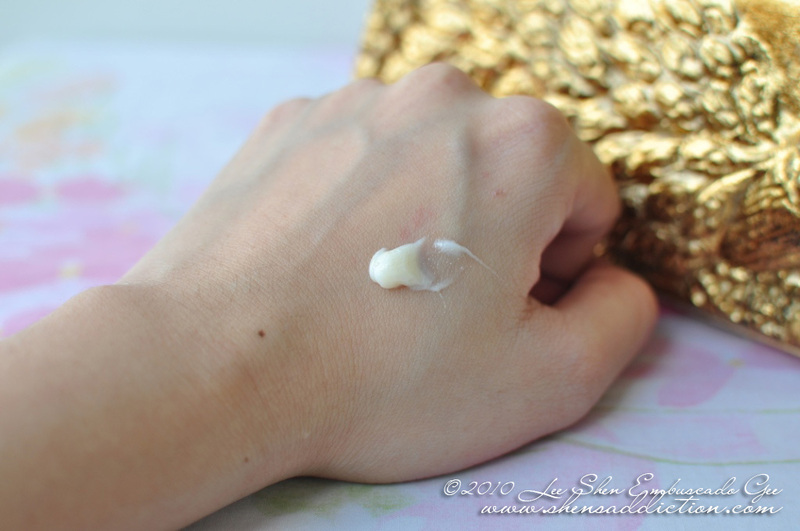 The scent smells powdery for the day cream but for the rest, there are no lingering scent. 11. 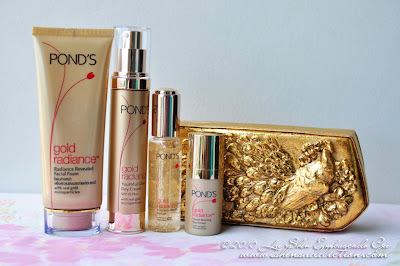 When Pond's go on sale, I can get this cheaper!! 1. Pond's Gold Radiance prcie range is a bit steep compared to other Pond's products. 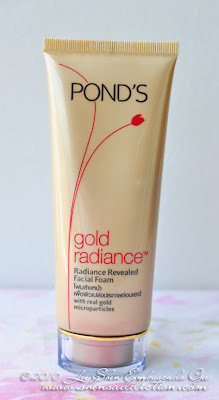 Pond's Gold Radiance is really meant for women 30 and above. Those who are seeing a signs of aging. This is such a great gift to give for the Holidays to your Mom, favorite aunt, boss or teacher. I'm sure they would want to feel the goodness of gold on their skin. 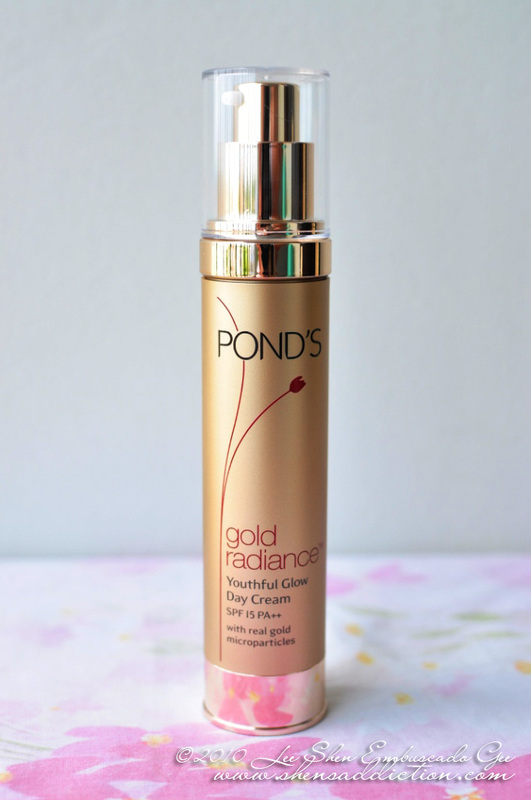 Pond's Gold Radiance will be in stores starting this November. 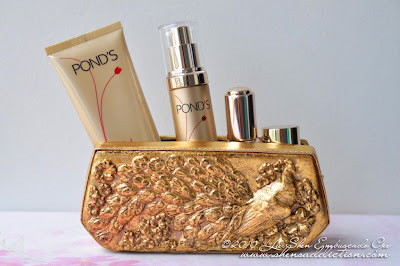 More than a week of using Pond's Gold Radiance with only mineral foundation and blush. 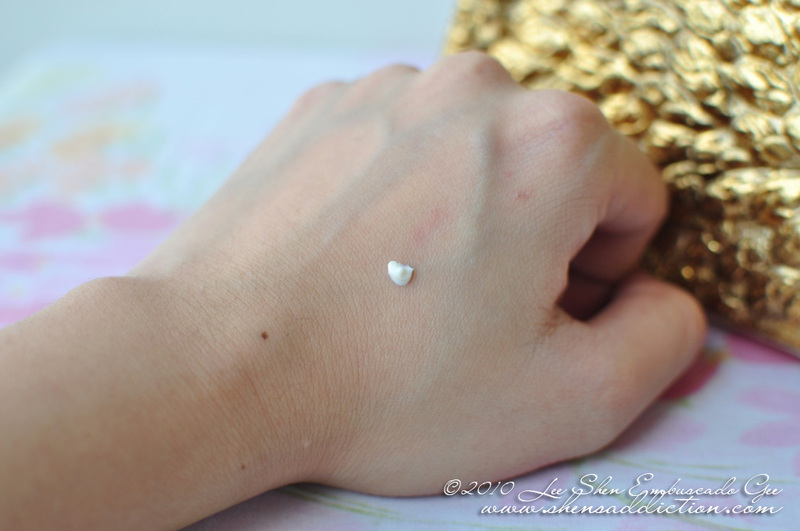 your skin looks dewy glowy! 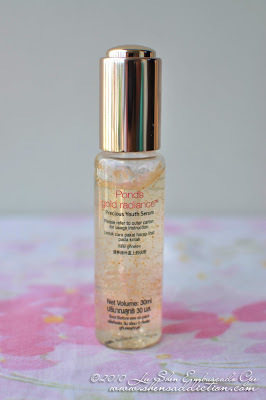 the serum reminded me of the Bio-essence gold flakes eye serum very much. You look so pretty and fresh in that picture. 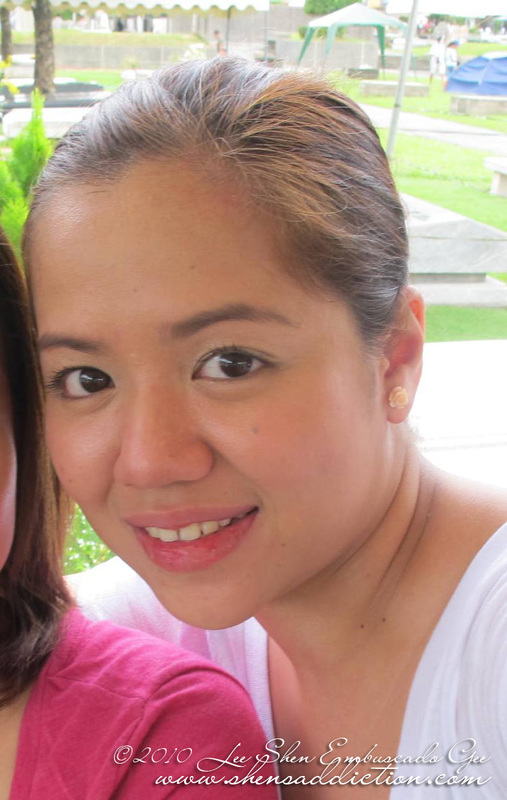 In fact, I find you prettiest in this photo. I've been following your cosmetic reviews recently. When I'm in the mood to indulge myself with new lippies and other skin care products, but still a bit hesitant to purchase them, I check out reviews and swatches in google, and I somehow manage to end up reading "Shen's Addiction". Hahaha :)) I have a question, I hope you don't mind.I'm only 22 years old, and I think I'm already showing signs of skin aging. 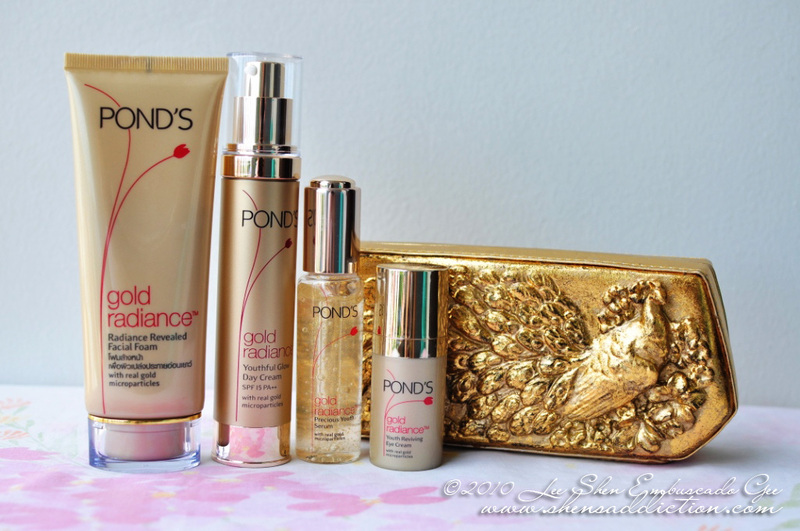 So my question is, will it be okay for me to use the Pond's Youth Serum, since I'm still only in my early 20's??? I'm thinking that I'm in dire need of a good mosturizer. 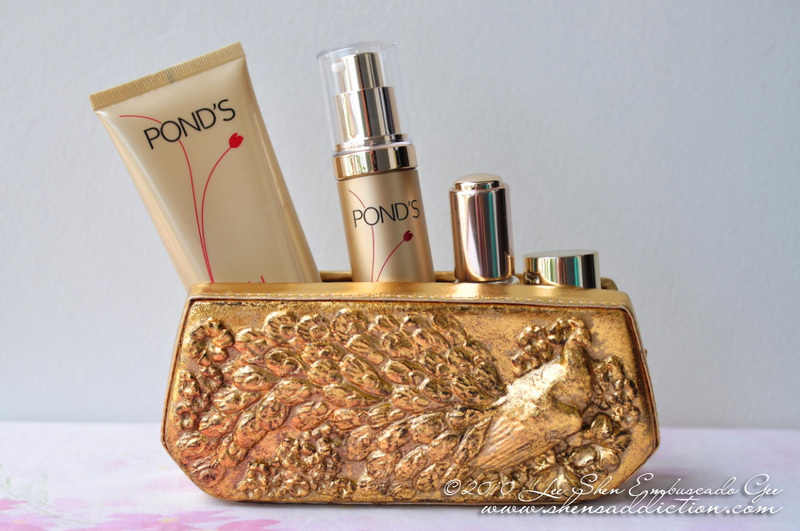 And maybe the Pond's Youth Serum will be of great help, if I use it before going to bed.... Is it okay to use in it daytime as well??? Do you have reviews on local cosmetics like Ever Bilena or the likes?